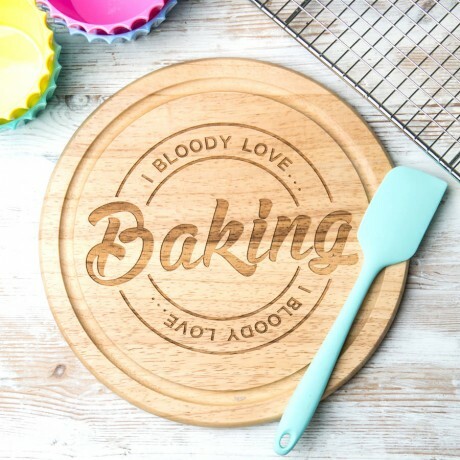 That baker will have the perfect place to slice, roll and knead when you give him or her the 'I Bloody Love Baking' Chopping Board. 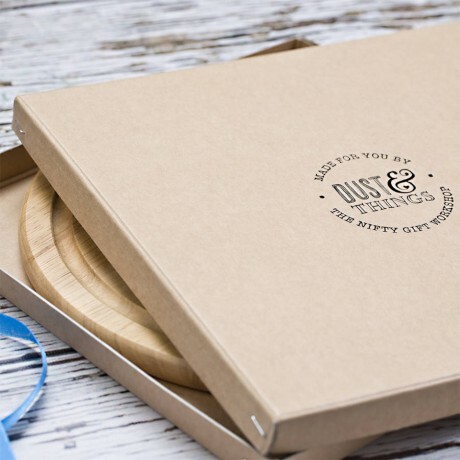 Say thanks to that friend, family member or coworker who is always bringing the goodies for get-togethers with a gift that will suit their tastes and help them make all those treats! The 'I Bloody Love Baking' Round Chopping Board is a unique gift idea for any occasion from Mother's Day to a birthday to a bridal shower to Christmas. 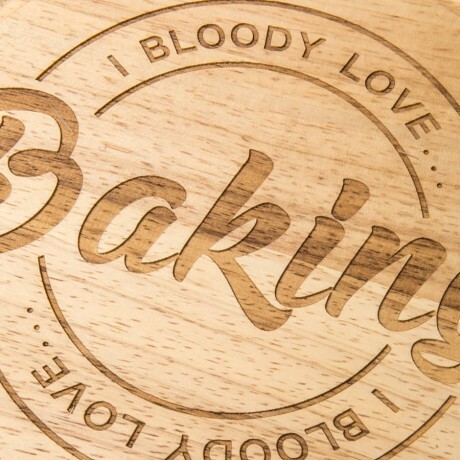 No matter what the occasion, you can be sure this cutting board will impress due to the fine quality of its hardwood construction, which makes knife work oh so easy. 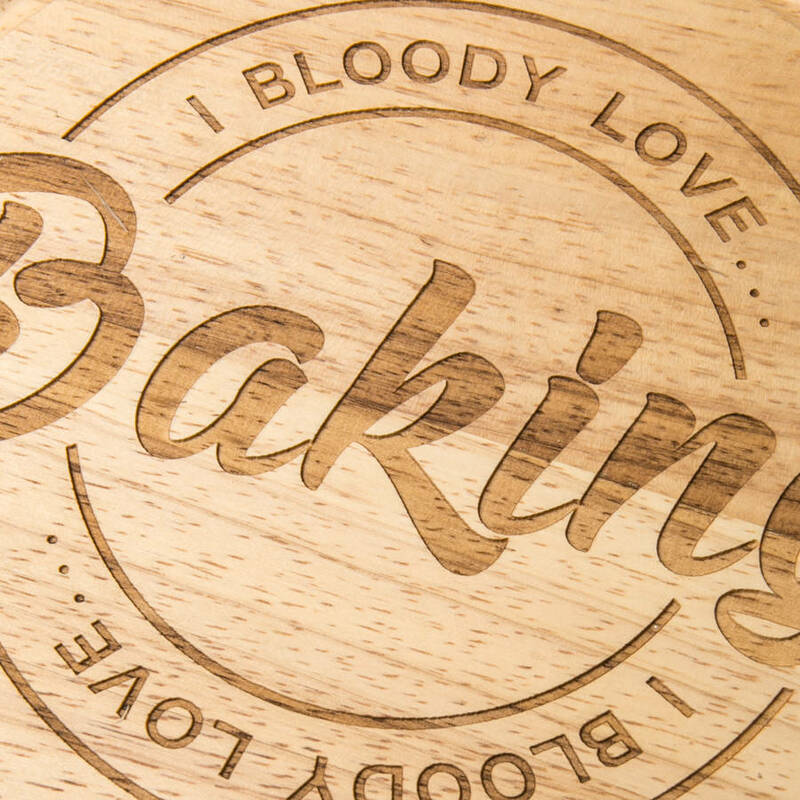 The lettering is engraved to ensure longevity.The surface of the cutting board is deeply engraved with the words 'I BLOODY LOVE BAKING' in a bold handwritten style. UPPER CASE & LOWER CASE LETTERING: Please get in touch with Dust and Things if you have any enquiries related to uppercase and lowercase letters within your personalised engraving.